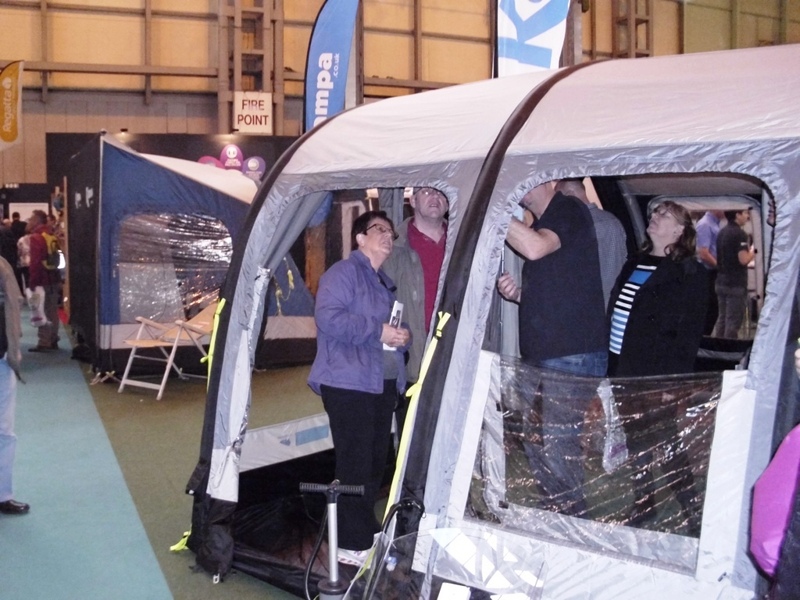 Back in the real world, I couldn’t resist having a go at pumping up one of the inflatable awnings. It was really quick and easy. I can’t wait to try ours out. 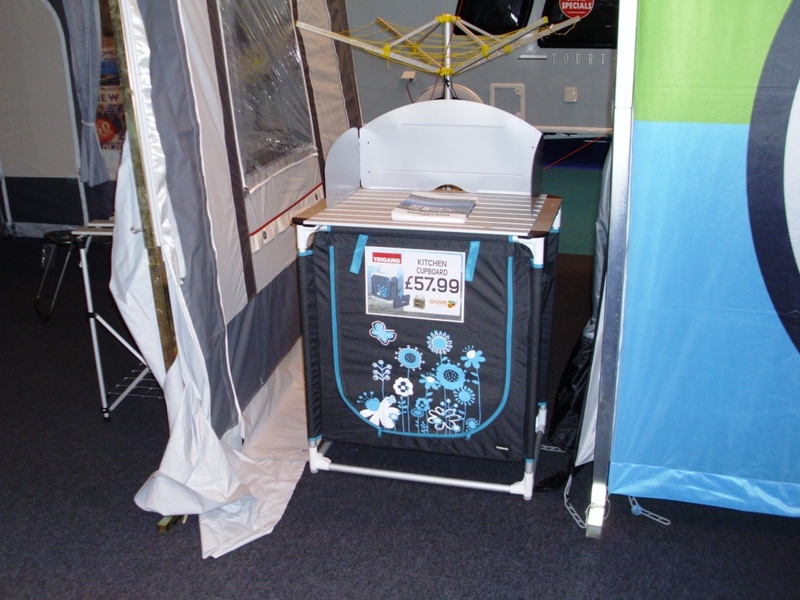 It was interesting that the prices at the show weren’t that keen. 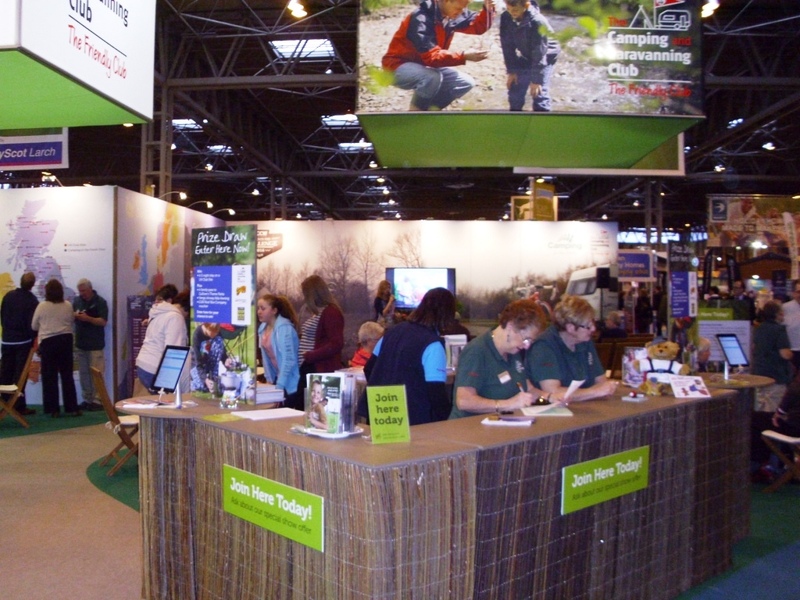 We were in the market for a new Aquaroll container for fresh water, but I can buy one cheaper from Halfords than I could at the show. 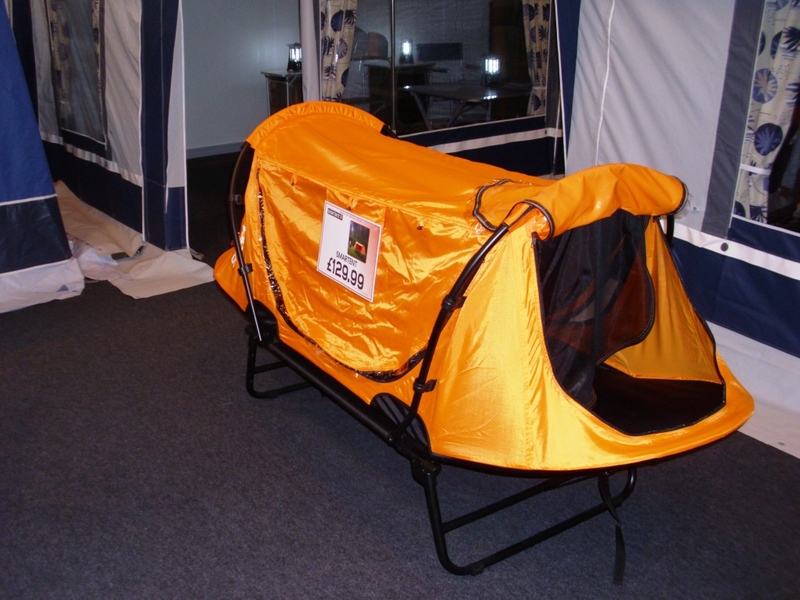 Or a curious combination of a camp bed and a bivvie. I thought it might be ideal for the cyclists in the family, but the frame made it too heavy. For some reason, I’m always fascinated by miniature caravans. 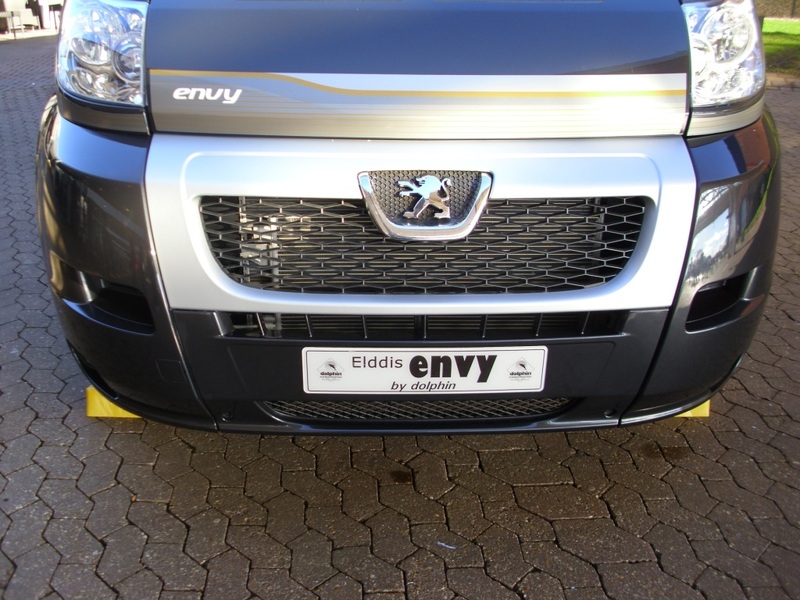 They’re easy to tow, and there’s something rather dolls house about them. 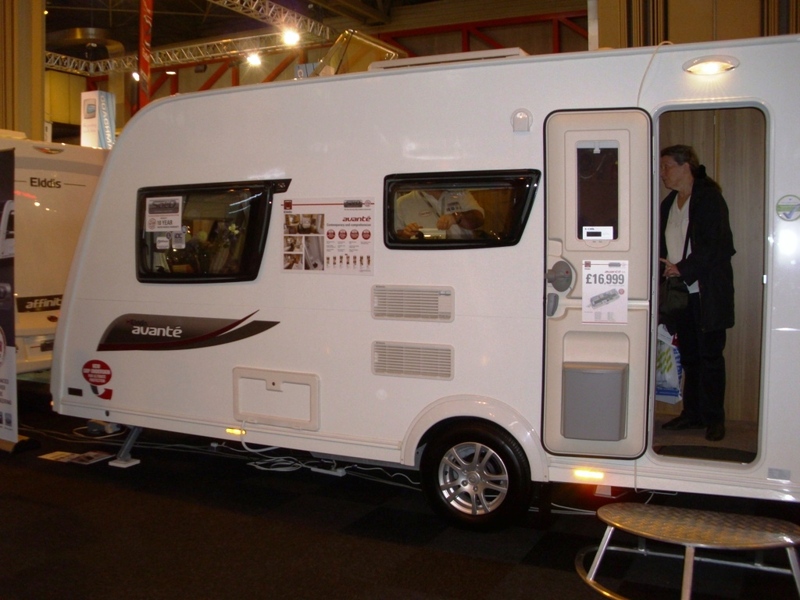 How about this Dethleffs model? 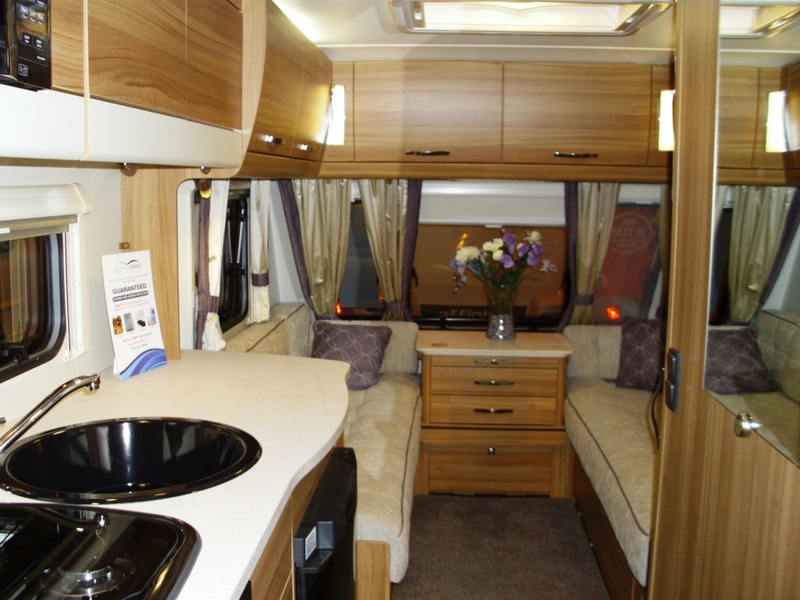 But we spent most of our time actually looking at a dizzying range of caravans and layouts. 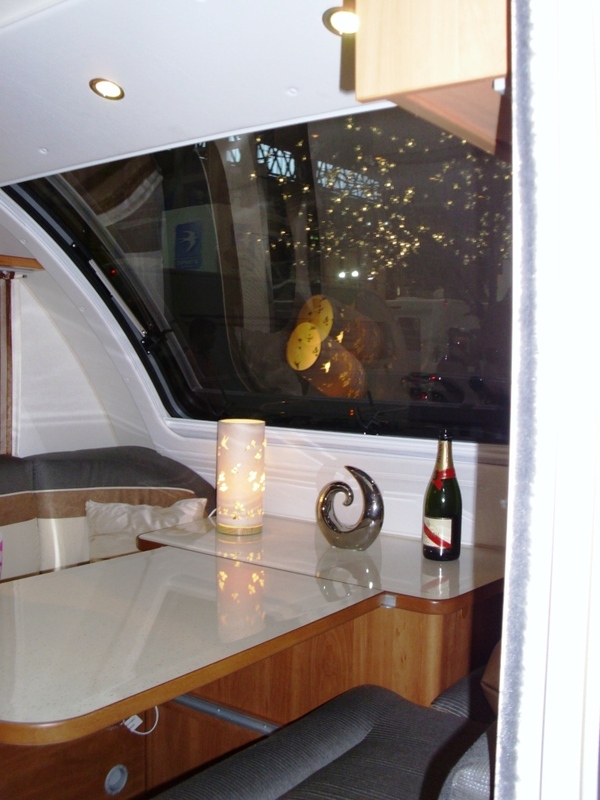 We’re not likely to upgrade to a new caravan, even with the tempting show offers, but this one really struck a chord. 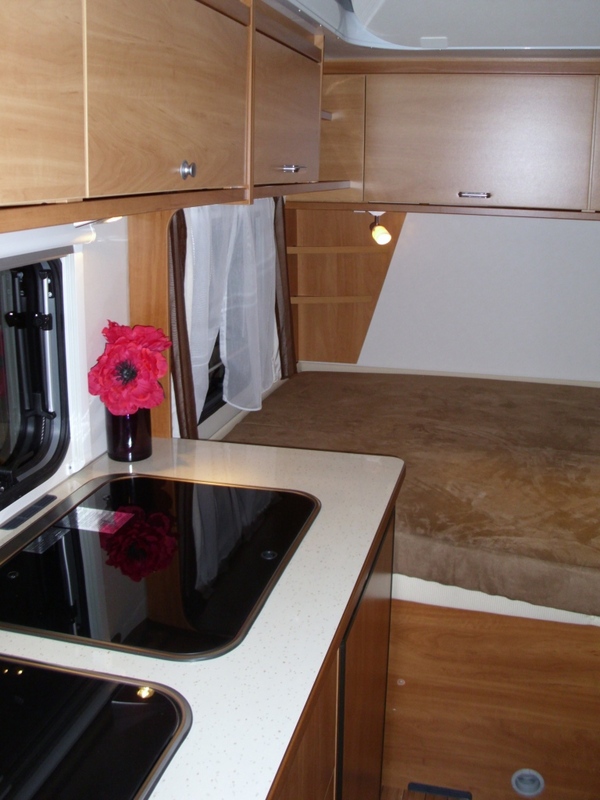 It’s an Elddis Avante 515. What we really liked was that it has two lounges. 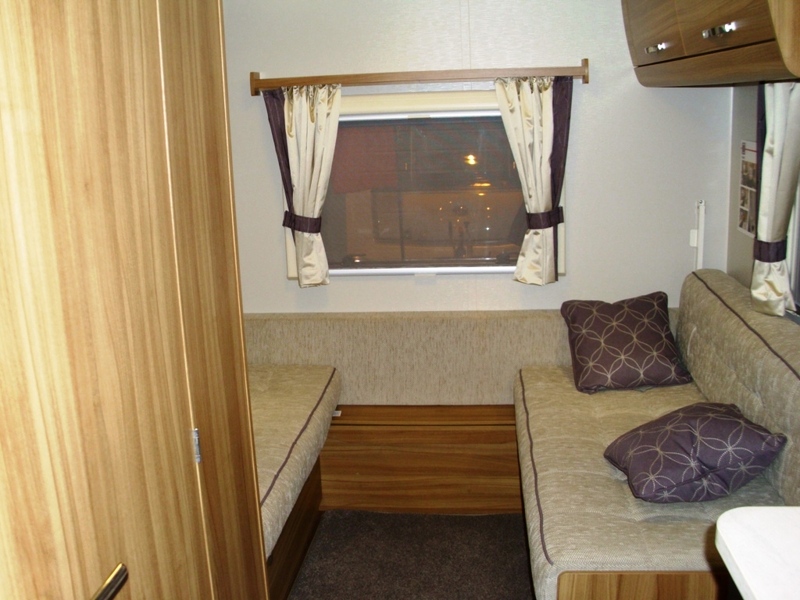 Both can be converted to two twins or one double bed. So there’s plenty of room to entertain visitors to lunch, and the potential to leave a bed made up permanently when there’s just the two of us. We love the fixed bed layouts, but they are undoubtedly greedy of space. Neither do we really need the huge end washroom that’s so popular at the moment. One salesman extolled the virtues of having a dressing room. I had this sudden vision of going camping but being obliged to dress for dinner. Black ties and posh frocks. Wow. By the end of the afternoon we were walked off our feet. 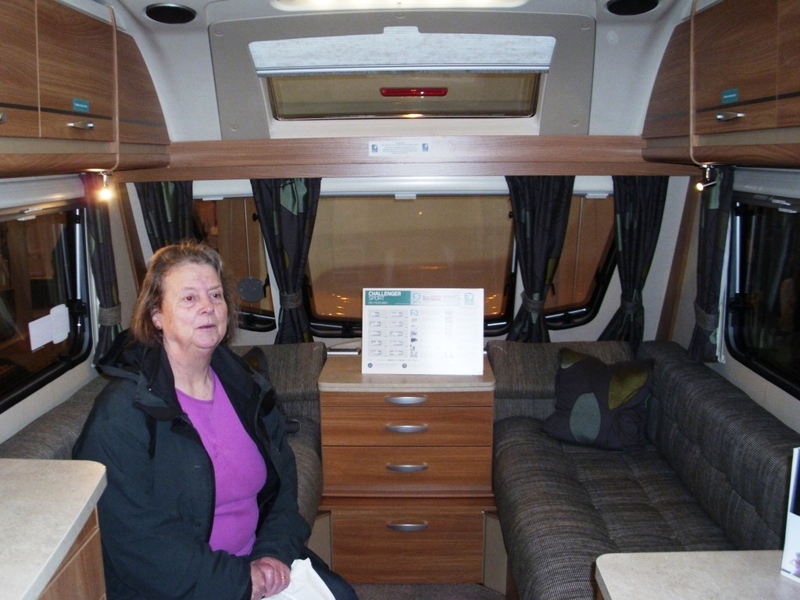 Our final stop was to join the Camping & Caravanning Club, which will open the doors to a wider range of dedicated campsites. 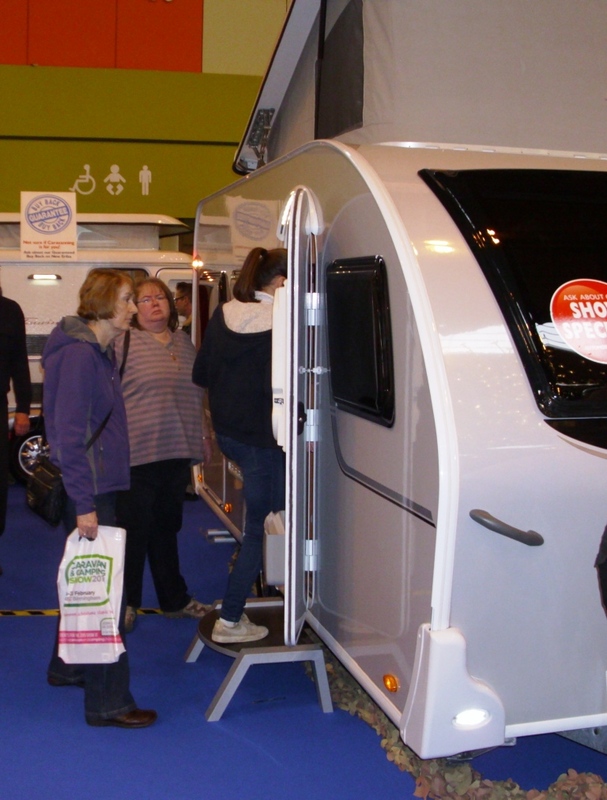 We’re really looking forward to a caravanning 2014. 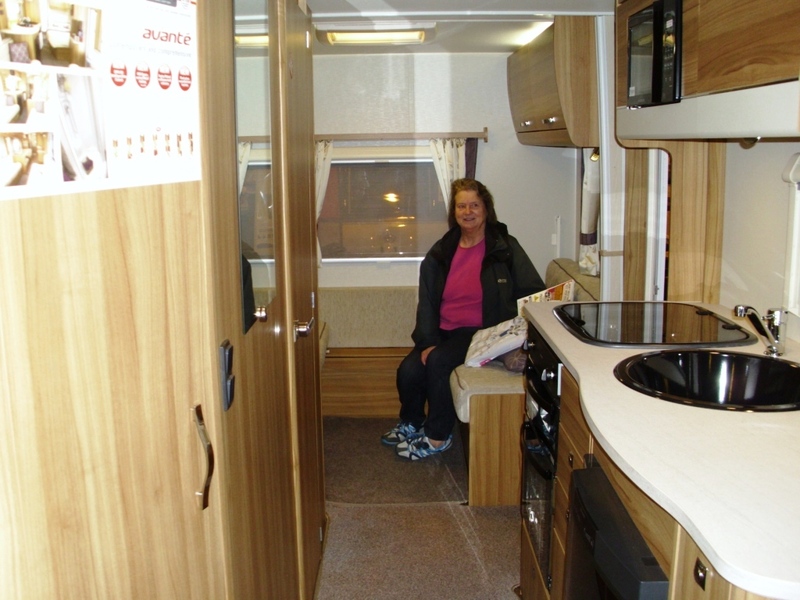 This entry was posted in Caravans and tagged Camping & Caravanning Club, Caravan and Camping Show 2014, Elddis Avante 515. Bookmark the permalink.